The Finance and Administration Division is a dedicated team of professionals committed to providing high quality service to students, faculty and staff. University departments include the Business Office, Business Services and Facilities Management. 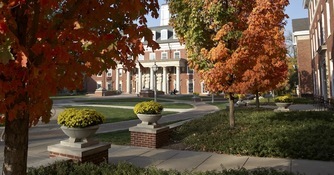 In addition, the division also oversees the Inn at DePauw, DePauw Food Services, and the DePauw Bookstore. Looking for more information? Have questions? Our Student & Parent Information page provides a central point for information that is most relevant to DePauw students and their parents.